In a cluttered marketplace, the role of a sound brand strategy and high-impact brand identity can hardly be over-emphasized. A great brand identity should clearly communicate the overall brand story and in turn the brand promise. As a healthcare provider, it is important for any brand to be on top of mind when someone is looking for options and aim to get associated with target attributes. An equally critical element of the brand strategy is to “walk the talk” – starting from the front staff to physicians, everyone at the hospital must deliver on the brand promise and emerge as a real-life manifestation of the brand. 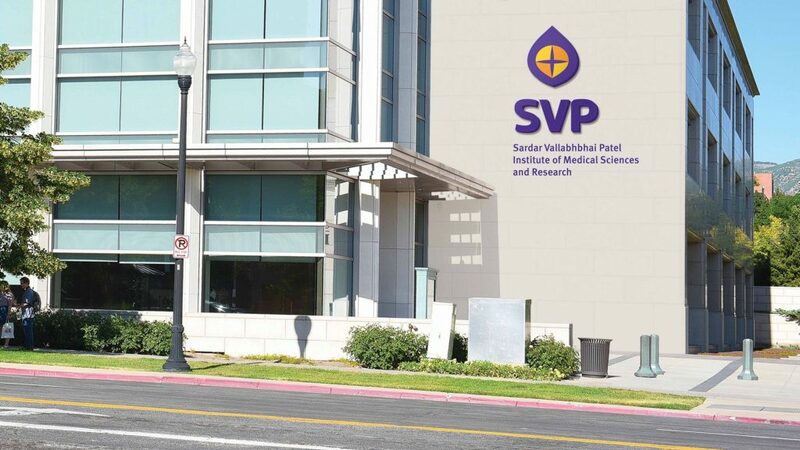 Under the aegis of Ahmedabad Municipal Corporation Medical Education trust, Sardar Vallabhbhai Patel Institute of Medical Sciences and Research (SVPIMSR) is the latest super-specialty teaching hospital with 1600 beds and 32 state of the art operation theatres. It is one of the largest teaching hospitals in the country. With its state-of-the-art infrastructure and a great team of competent and experienced physicians, the hospital offers clinical outcomes comparable to the best hospitals in the country. 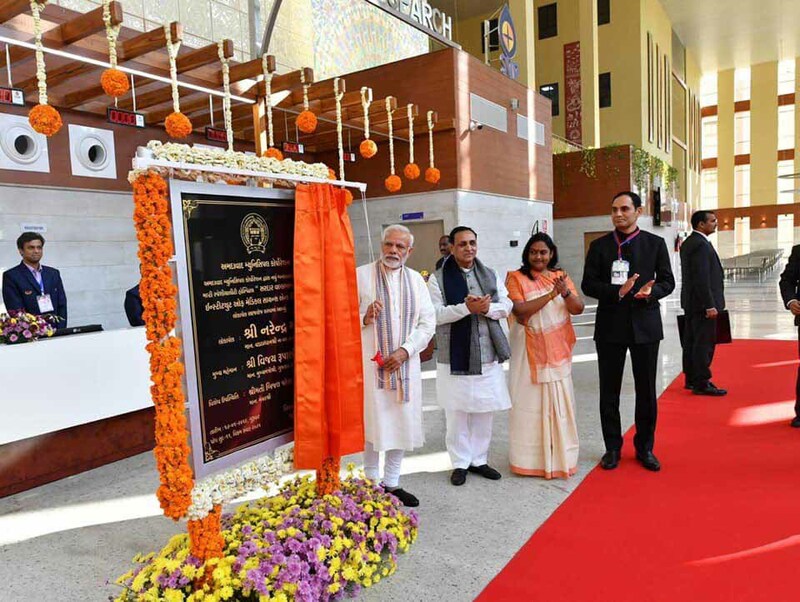 It was inaugurated on Jan 17, 2019 by Prime Minister Narendra Modi. The hospital will provide compassionate and equitable care irrespective of the patient’s paying potential. Given the philosophy the hospital has, the identity must also cue its focus on care, concern and empathy. The hospital will exhibit high ethical standards and will have transparent and simplified billing systems. The brand identity should convey elegance and classiness (without coming across as ‘exclusive’) and help position the hospital in the same league as ‘corporate’ hospitals. It is equally important to ensure that all the elements are simple to comprehend. 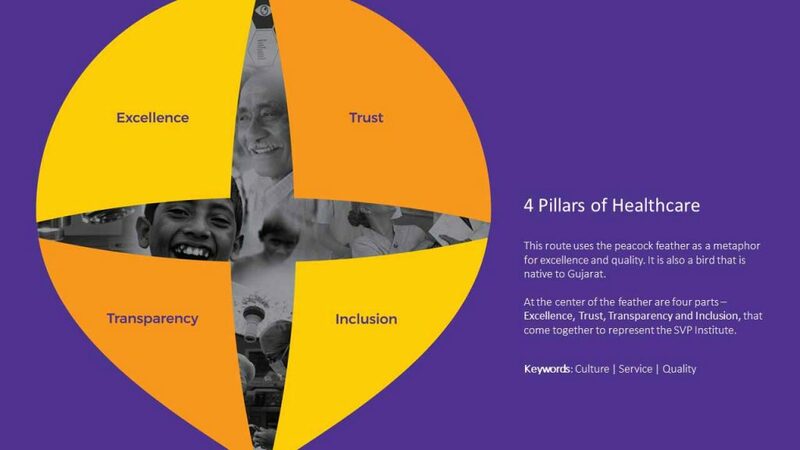 The peacock plume of health consists of the four pillars of healthcare that SVP believes in – Excellence, Trust, Transparency and Inclusion. The four pillars come together to form the medical cross. Drawn from the heritage of Gujarat, the peacock plume with its different hues embodies the spirit of inclusion. Other than arriving at the positioning strategy and developing the visual identity, we also developed various applications including stationery, collaterals for various touch points and the design language. Finally, we created the comprehensive Brand Identity Guidelines and helped implement the initial set of brand guidelines. As the leading brand identity consultants and design firm in healthcare, we have an enviable track record of having worked with some of the best known brands in the country. Our brand identity design clients range from niche concepts such as The Birthplace, Asian Bariatrics and MediCounsel to large mu ltispecialty hospitals such as Aster Medcity, KD Hospital and SVP Hospital. We also have an impressive portfolio of healthcare brands such as Stork Home, Desun Hospital and Advanced Diabetes, where we have helped them successfully re-brand their existing identities. These distinct brand identities have witnessed a strong consumer connect leading to quick adoption and early success for the overall business model.